For those on a holiday in Tuscany and seeking the very best this fascinating region of Italy has to offer, Il Bottaccio is a unique luxury hotel and restaurant. 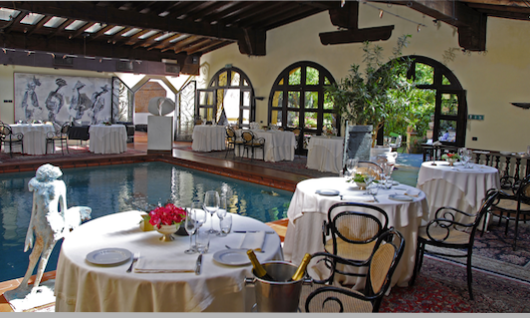 Located in a quiet and peaceful location, Il bottaccio is in the immediate vicinity of Forte dei Marmi in Tuscany: the ideal getaway for a romantic and original Christmas Day Lunch in Tuscany. 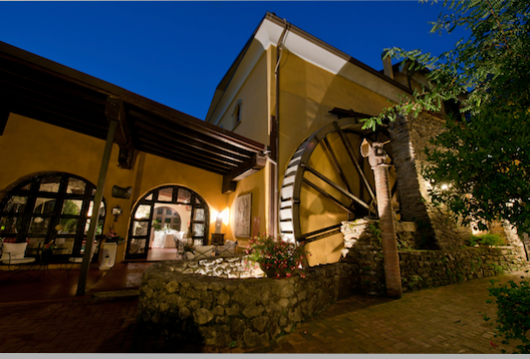 One of the finest 5 star luxury hotels in Tuscany, Il Bottaccio is also a well known restaurant, brought to fame by Hotel Director and Chef Nino Mosca in charge of the hotel from the very beginning more than 30 years ago. Restaurant Guests enjoy the refined environment: tables are arranged around what was a tub where olive oil was collected of this antique oil mill. 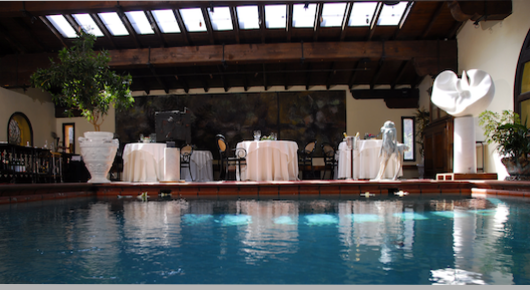 The environment is rich in precious sculptures, paintings and antique furniture in different styles, offering an uncommon fusion between fine dining and art. Dining at Il Bottaccio is a complex yet fresh experience where the four elements of the universe combine: air, earth, water and fire. Dishes are created around these natural elements which nurture not only the body, but also the soul. The beauty of the environment combined with the excellence of foods and wines make this restaurant a top priority for even the most demanding of food and wine tasters visiting Tuscany. Il Bottaccio is open all year including Christmas. This year the Christmas day menu is an outstanding ensemble of traditional tastes – all the details can be found here. Il Bottaccio will also be open for the New Years Eve Gran Galà, inspired by the Capricorn Tropic. As they say in Italy “poco ma buono” – in English we’d say “good things come in small packages”: A short Christmas holiday at Hotel relais & Chateaux in Tuscany Il Bottaccio is just that: Top quality, the very best Tuscany has to offer in luxury accommodation. 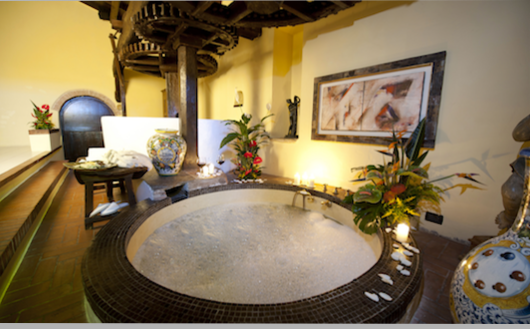 This Year Il Bottaccio offers a minimum 2 day package which includes a stay in one of the eight Rooms or Suites. The New Year’s Eve Luxury Break includes the New Years Eve Gran Galà, a four-course gourmet dinner in the “Sala della Piscina” or in the romantic ”Sala Diana” featuring dinner tables near the fireplace, and access to the Otzium Wellness circle for two. This entry was posted on Tuesday, December 22nd, 2015 at 11:10 am	and is filed under Events in Italy. You can follow any responses to this entry through the RSS 2.0 feed. You can leave a response, or trackback from your own site.